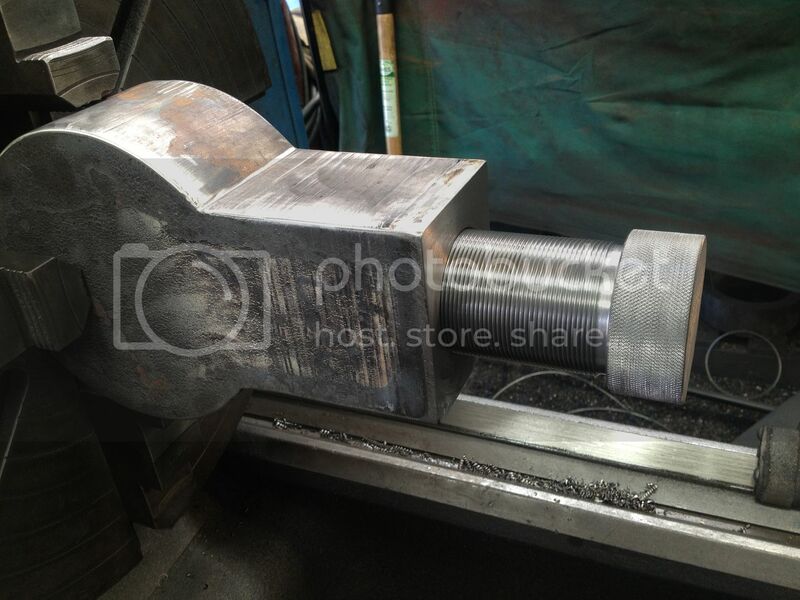 [QUOTE=Abom79;2201279]Heres a big steel rod eye I had to machine. Test plug I machined to use as a thread gage. IIRC, they are 2 1/4-12. Thanks for sharing! I strongly agree it is often good practice, and perhaps even necessary, to make a scrap male thread gauge before single-pointing a critical internal thread. Of course, if you're luck enough to have access to plug gauges, read no further. But if you don't then often the male part is unavailable or too awkward to use as a plug gauge, and you need to somehow acquire one. If you use some random bolt as a gauge, there is a good chance the female thread will come out undersize. A lathe hand should at least gauge the proposed male gauge with a thread mike, wires, or triangles, to see how good the proposed gauge is, and to guesstimate how loose to make the female thread fit, so that the largest male thread likely to be encountered will still fit. Time to get some lathe DROs! They make a gigantic difference in productivity of manual machines. BTDT. Quick question for you Adam. I bought an eagle 66 oil can off flebay, problem is it does not work. Did you ever have to replace any seals or anything to get them pumping? Thanks for any help!! I've actually never once had to take any of mine apart for repair, but they are fully serviceable. Take that sucker apart and see whats bad. It may be some bad seals on the plunger, or it could be clogged up. Nice looking work Adam! . I gotta agree with wheelieking about that pucker factor. I've done a few jobs where when I went to chuck them I was too chicken to try with only a couple jaws holding on good, so I tack welded a couple of blocks or tabs onto the part to get ahold of, and then ground them off after the job. That was a nice size piece of ductile iron. Have you ever thought about building a trepanning tool to save the slug out of the center? A heavy slug like that sometimes I cut almost all of the way though, tap in a couple of wedges, put some pressure on with the tailstock with a block of wood, then hit it with a deadblow hammer. Make something else with the slug later. Just a thought. It depends on who is paying for the material. Keep up the great work. I watched a few of your youtube vids. You are a multi talented guy! Thanks for the comments. I've never considered a trepanning tool, although we have discussed them here before. I'm not worried about the internal slug as the company buys the material for each job. I've always been used to just machining out the center of the parts im working on. It would have been nice to have a piece of tube for that flange plate job, but the price for what we needed was like three time the price of solid, so they wanted to keep the cost down and pay me to machine it. Adams father Johnnie Booth passed away suddenly yesterday after complications from surgery the previous week. Adam and his family need our thoughts and prayers right now. Sorry to here of your loss Adam! Aww man Adam, sorry for your loss. I'm very sorry for you loss. Deepest sympathies and condolences for your loss. You and your family will be in our thoughts and prayers. I am truly sorry for your loss Adam. My sympathy goes out to you and your family Adam. My Regards and deepest sympathies. God Bless you and yours Adam. Sorry for your loss. I'm sorry for your loss, Adam. After reading your posts, I feel like you are one of my neighbors, and it hurts to see a neighbor who's hurting. I just heard of your Father's passing after seeing Tom's video tribute. I'm truly sorry to hear this news. My deepest sympathies to you and your family during this difficult time.